This gorgeous choker is a beautiful way to accessorize on your big day or any day! -White Lace Choker - Adjustable in length to fit most neck sizes. 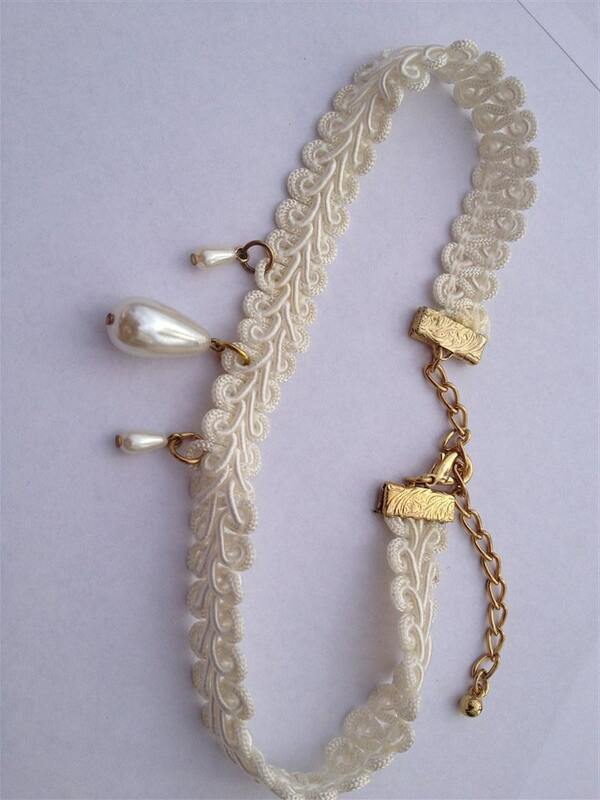 Made with white lace, faux pearl dangle pendants, gold-colored chain, and rear clasp. 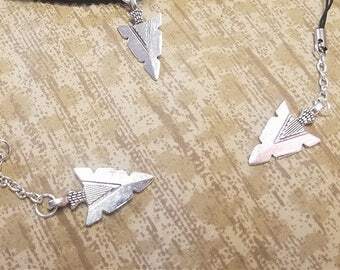 Some of our listings on Etsy may contain items made from repurposed goods which may contain minor blemishes.